Kanhopatra (15 th century) is a female Hindu Varkari poet-saint. 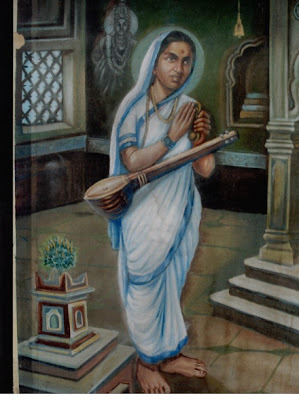 Kanhopatra wrote Marathi abhanga compositions, which deal with her devotion to Vithoba, the patron deity of the Varkaris and her struggle to balance this with her profession. Not much is known about the historical Kanhopatra's life. Much of the legends that deal with her life concentrate upon her death when she chose to surrender to Vithoba rather become a concubine of the king of Bedar. Kanhopatra was a daughter of a courtesan named Shyama, who lived in the town of Mangalwedha. Kanhopatra was forced in the courtesans's life, though she detested it.Later, Kanhopatra withdrew from society and lived in Pandharpur, where the chief temple of Vithoba stands. She spent rest o f her life singing and wrote ovi style poems as well as abhanga poems dedicated to Vithoba.Upon hearing the tales of Kanhopatra's beauty, the king of Bedar ordered her to be his concubine. When she refused, the king sent his men to get her by force. Kanhopatra took refuge in the Vithoba temple of Pandharpur, the central shrine of god Vithoba. Kanhopatra died there in mysterious circumstances. 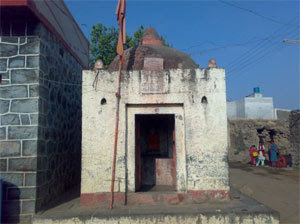 Though legend says Kanhopatra merged with the central image of Vithoba in form of marriage with Him, other theories suggest possible suicide or homicide for rebelliousness.According to legend, as per Kanhopatra's last wishes, her dead body was laid at feet of Vithoba and then buried, near the southern part of the temple. 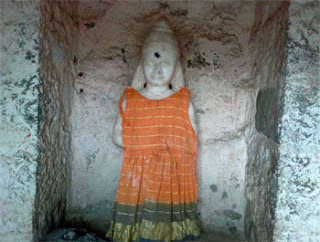 Here, a mysterious tree rose, which is worshipped by pilgrims today.Kanhopatra's dating to c. 1428 CE is related to dating to a certain Bahamani king of Bedar, who though never explicitly named in legends, is often association with Kanhopatra's legend.Kanhopatra's patron deity: Vithoba. I lack loving faithmy nature and actions are vile.Fallen Kanhopatraoffers herself to your feet,a challengeto your claims of mercy.